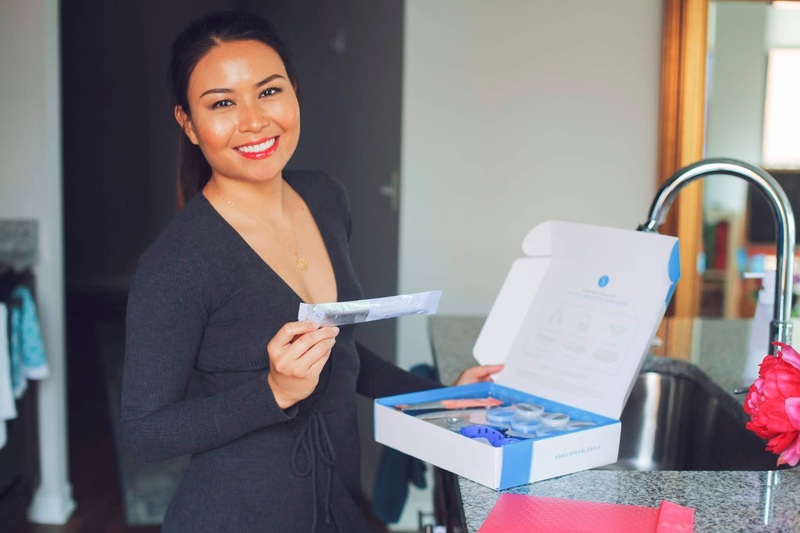 Now That's Chic: At Home Teeth Whitening: Does it Work? 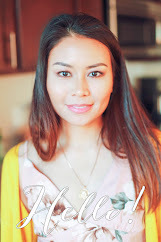 I am so excited to share this blog post with all of you! Today I will be talking about an amazing product that whitens teeth (honestly) at home for a fraction of a cost than going to a dentist. 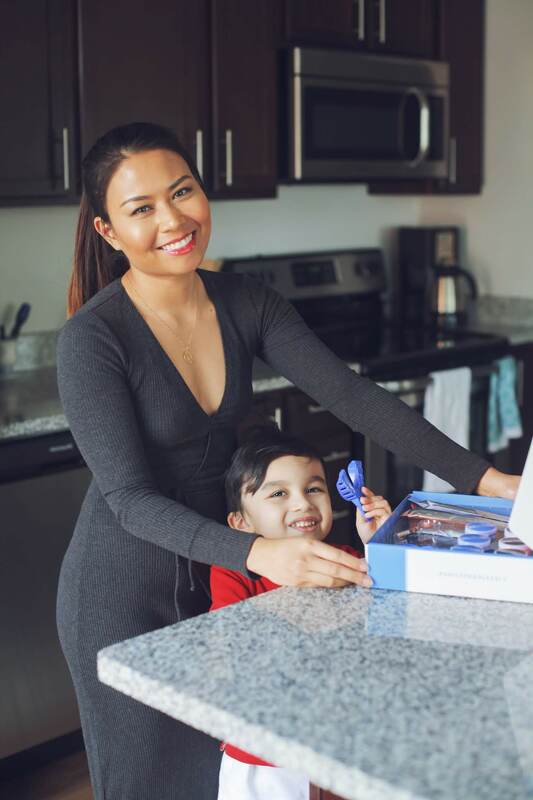 I have always wanted to try teeth whitening at my dentist, but as a stay at home mom, this extra expense is just not on my budget! 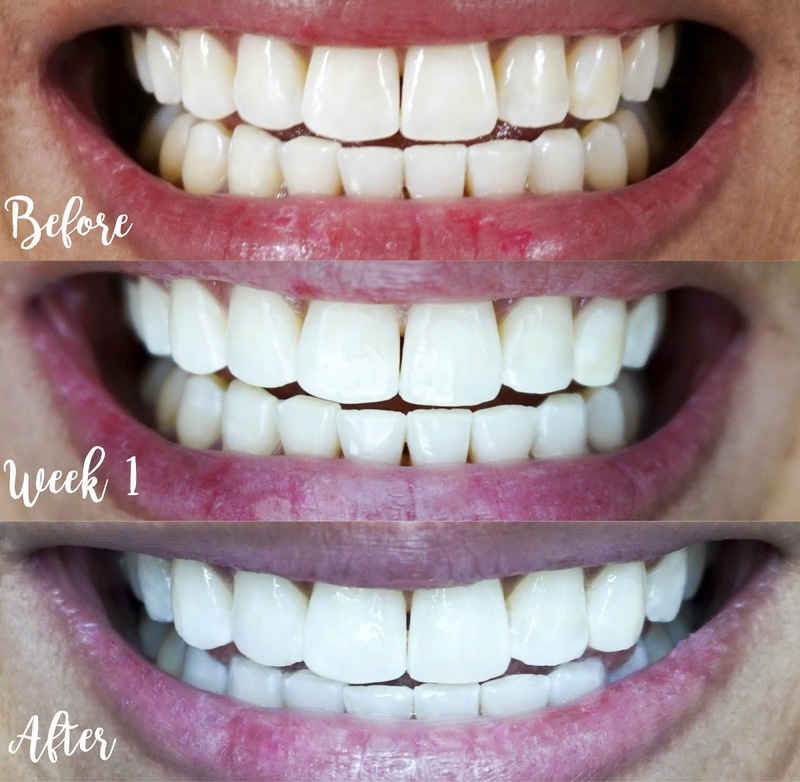 So I stick to whitening strips at home and I have tried many brands, and let me tell you, some work and some don’t! And my biggest struggle with the whitening strip is my teeth get so sensitive. I stumbled upon Smile Brilliant, and gave it a go! 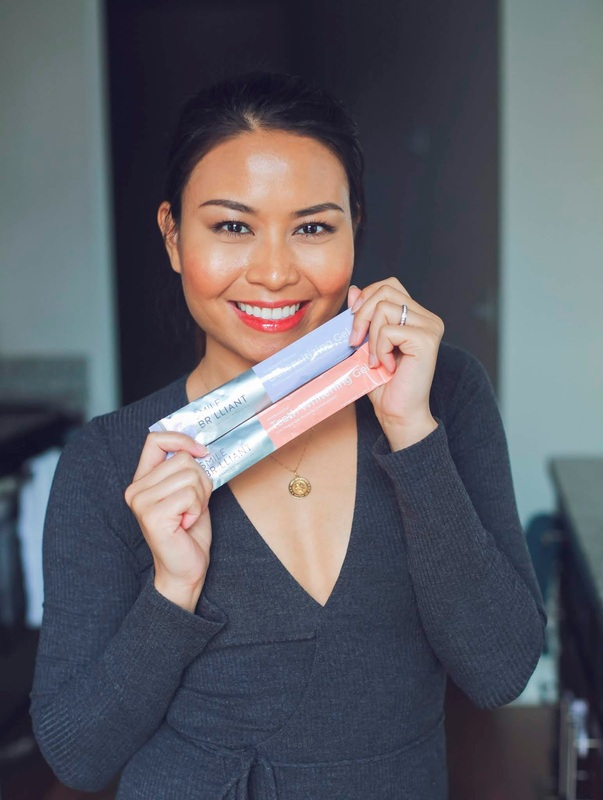 The idea of custom-fitted trays for my teeth got me hooked and also the desensitizing gel as I have very sensitive teeth. This is a step up to my whitening strips! So I tried it for weeks and what amazes me is does not make my teeth sensitive with the help of the desensitizing gel. So, I was able to whiten my teeth daily and with extra fast results. 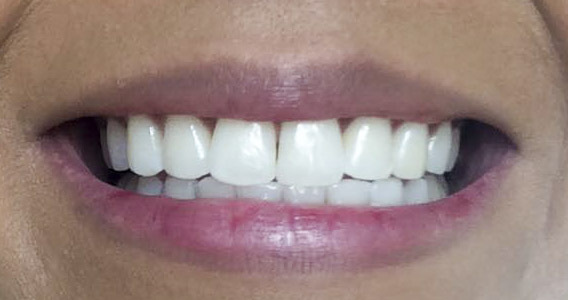 Within 1 day of application, I was able to see a difference in the shade of my teeth. After a few weeks of application, my teeth got whiter as you can see from my before and after photos! Amazing results! 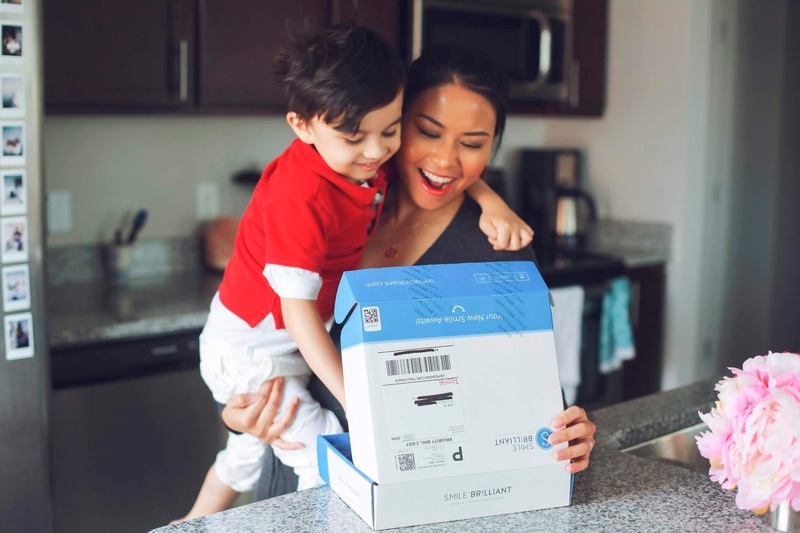 I will definitely keep using this product and my husband wants to try it too! 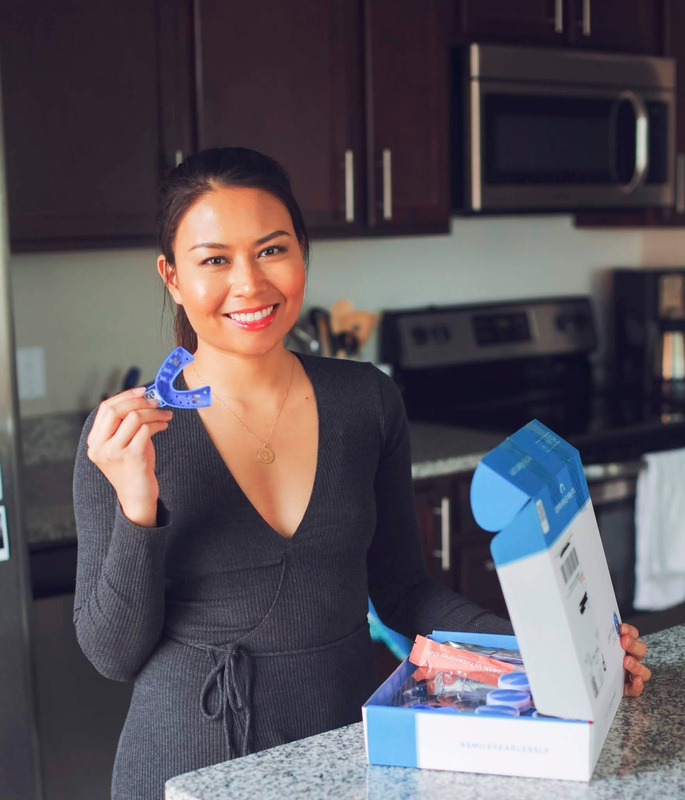 And now you can whiten your teeth at home just like I did by shopping online at Smile Brilliant or you can enter my giveaway! The giveaway is for a $149 Smile Brilliant credit. It is open for 2 weeks (14 days after blog post date) and open to USA, UK, Australia and Canadian residents. 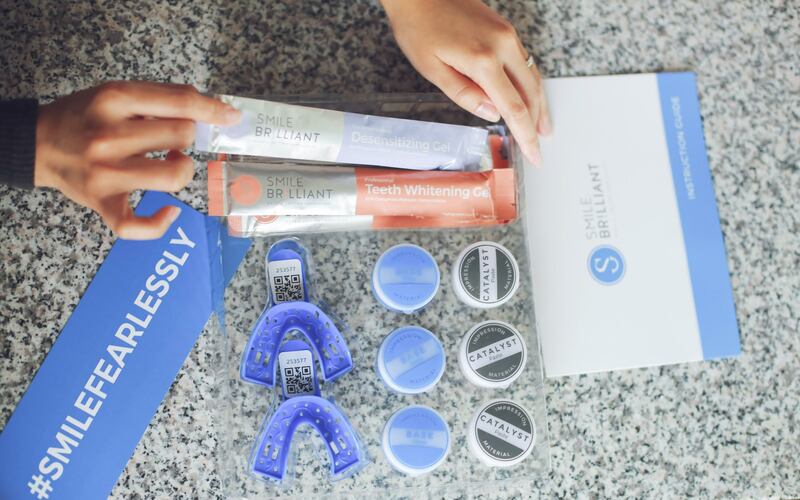 Winner will be randomly chosen by Smile Brilliant and will be contacted by them.